With Christmas less than a month away, time is running out to plan those cherished holiday cards. If the idea of busting out the camera to photograph your kids makes you cringe, here are a few tips to help make it a little more enjoyable. 1. Be Prepared. You don’t have to spend hours planning, but you should have an idea in mind before you start. Winging it will only result in disaster. Also, stay away from Pinterest! While there are a ton of really great ideas, it can be overwhelming and put unnecessary pressure on you to get the perfect shot. 2. Keep it Simple. If your kids are older, a nice closeup is all you need. If you have little ones, including a small prop might help to keep them interested for more than 30 seconds. A teddy bear is a great, classic prop for the holidays. Add a red scarf or a Santa hat to make it pop. Whatever you choose, avoid props with tons of glitter or food items that might leave stains like a candy cane. 3. Relax. Easier said than done when photographing your own children, but the more you stress, the more they will resist. Make sure everyone is rested and fed before attempting the shot. Choose clothing that is comfortable and make it a fun event. It’s something you’ll likely do every year so set the tone now. If they are not cooperating, take a break. You can always try again later. The goal is to get it done without any tears. 4. Get Help. Ask a friend to swing by for moral support or to keep things under control. If you’re snapping the picture, she can make sure everyone’s clothes are in order or that no one has a runaway boogie. She can even make silly faces behind you for more natural smiles. 5. If all else fails, hire a professional! It takes the pressure off of you and you can actually be in the photo! 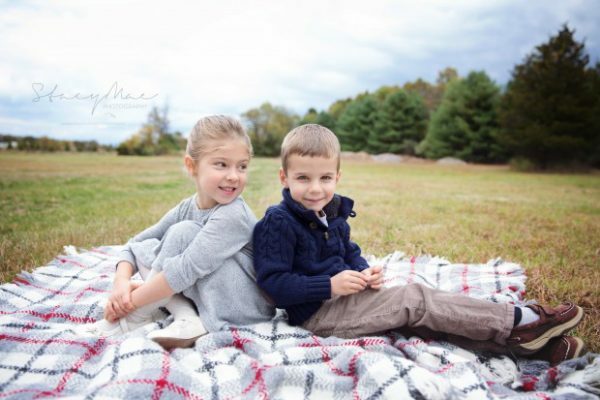 Stacy Canzonieri is a New Jersey (NJ) family and child photographer. Stacy Mae Photography offers a modern, casual approach to portraits and a fun, kid-friendly experience. For additional ideas and to prepare yourself for getting that perfect holiday card shot... check out Stacy's DIY December Holiday Card Class. Bring your camera and join me for a DIY Holiday Card class. 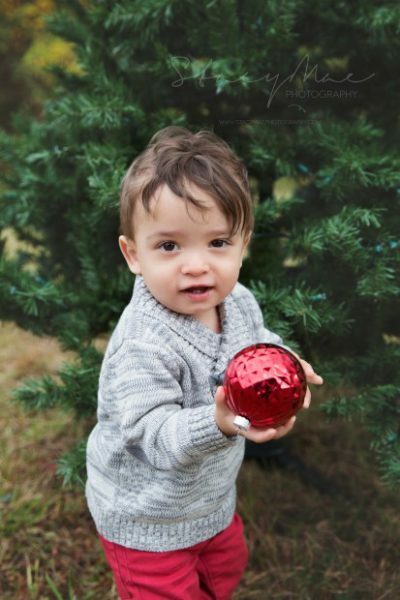 I'll teach you how to photograph your kids for your annual Christmas card photo without all the stress.